Ahhhh Summer! Blistering bright greetings to you all. Stay hydrated and use a strong high SPF then clean off the lenses of your Vuarnet’s and peep these new East Coast Dates! 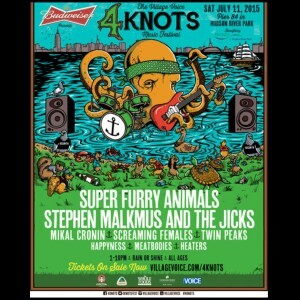 Tickets are on sale now for 4 Knots Festival on the Hudson in New York City July 11th AND Boston Calling September 25-27th. Come on out!